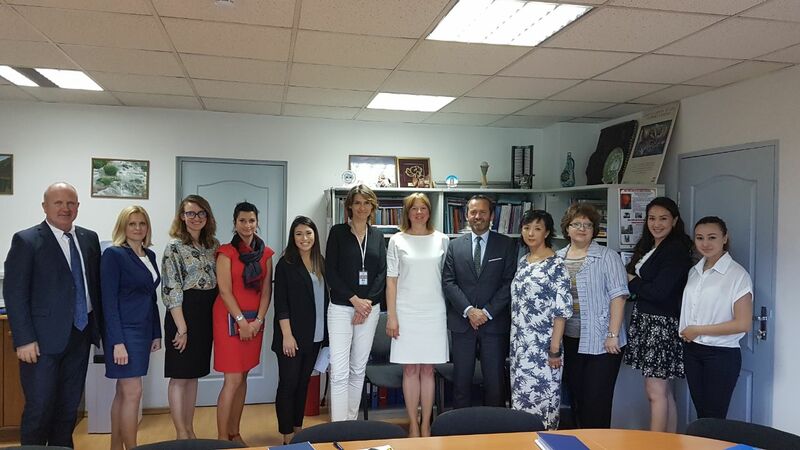 In 2017 UNESCO Almaty Cluster Office is worked in all areas of expertise, including resource mobilization and gender mainstreaming. This newsletter is issued for the first time with new Office Director to inform our Office partners regarding the latest developments. The networks of partner institutions are strengthened with capacity building programmes and innovations. UNESCO Almaty participated in the series of UNESCO and UN training activities such as CONNECT-U, UNESCO Strategic Planing and UN for All Workshops. New areas of cooperation with UN agencies and government of Kazakhstan are strengthened within Expo-2017, UN Partnership For Development Strategy and UN Development Strategies. New Office retreat will strengthen UNESCO Central Asian Strategy for the next six years. Our website improved its content and visual services, new Office application for Android including TV and Apple devices is going to be presented in the next few weeks to our partner networks. I welcome new subscribers of our Facebook page: www.fb.com/unesata to get more information about UNESCO in Central Asian region.